This week I had an astrology birth chart reading with the lovely Pauline Gerosa, – a very intuitive astrologer. We met up and looked at my birth chart which was quite illuminating and it has been sometime since I looked at my birth chart, I also take into account that I am a different person now to the Tracy who looked at my birth chart years ago and my life is very different too all of which allows a different perspective on the reading. I am a Capricorn but right on the cusp of Aquarius and I’ve found in the past when I have read the horoscopes (not something I do often) that the horoscope for Aquarius always resonated more for me. I’ve never really been bothered by Western Astrology as I prefer the Chinese Horoscope. It seems though that I have grown into my Capricorn traits, LOL! This reading was aimed at helping me fuse the different aspects of me, to give insight me, where I am at and of course where I should be & to move ahead. I can’t tell you all the technical names for where things are on my chart, although Pauline did explain in a way that helped it make sense rather than it sounding as a foreign language! My chart shows aspects of my life that have had a profound effect on me such as my adoption at birth, my sensitive nature (Moon is in Cancer) and my drive, all of which make me who I am today and are responsible for where I am. The chart was able to show that my passion and fire is in my house linked to ambition and action (Mars is in Sagittarius). Strangely I’ve never thought of myself as ambitious but my chart says otherwise! My chart highlighted by determined, tenaciousness and my commitment, when I say I will do something I generally do it, very rarely do I not see things through and that is usually when I can see it is not meant to happen or plans change. My chart shows my strong intuitiveness and psychic abilities (it jolly well should do) but it also shows I should value myself more, be more generous to myself plus get Spirit to value my efforts more (big meditation to rebalance the books with Spirit). My business personality was highlighted which confirmed to me that my business side should be working alongside my spirituality and I am seeing a growing need for readers amongst the entrepreneurs and business community which is perfect. The other theme in my chart was a need to discover answers to the spiritual to forge a path but at the same time show others the answers I have found to help them on their path, I believe I already do this by telling people about the books I read, the experiences I go through and the information I hear but I had not realised it was part of my Soul Purpose, now I do so I shall be more open about what comes to me in life in case you also need it. It really got me to thinking about my path and where it should be going, with not being that ambitious that was hard, I will resolve it though with the help of my Guides & my Higher Self. If you have any input on this I’d be glad to benefit from it. So the bottom line here is that this wonderful reading had a profound effect on me; I really saw myself and my Soul Purpose in a different light as well as realising I was actually doing more of what I was put here for than I realised. My main interest right now which I am slightly obsessive about is Soul Purpose, Reincarnation & Soul Contracts which all fit together nicely so it will be interesting to find out how that fits with my Soul Purpose as I totally believe if you are passionate about something there is a reason for it. As a result of the reading I have a few questions to seek answers for and a lot of thinking to do too! Pauline Gerosa turned to Astrology in 1987 after a traumatic period in her personal life. Astrology brought her the guidance & understanding of the experiences she had been through. After 5 years of study & some really tough exams she achieved her diploma but more importantly the insight into who she was, where she was going, how her personality make up could help or hinder her. Pauline now reads birth charts professionally although it is more a passion or a vocation then work! Pauline’s readings are based on the ancient art of astrology which is not a psychic art yet Pauline is very intuitive and this helps her to make more sense of your chart for you, the experiences you have had and will have. 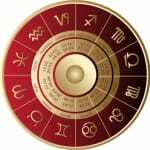 I found that her style is very different to other astrologers I have met yet I loved it for it’s clear and concise delivery in a language I could understand and when combined with the intuitiveness I found it was like shining a bright light on me and my life. I totally recommend a reading with Pauline. If you are not able to get to Pauline in Faversham don’t worry as she can do Skype or phone readings too. Pauline will also be at our Mind, Body, Spirit Fayre in Herne Bay on the 28th February 2015 so come & meet her. Here are Pauline’s two websites, please go find out more about her as I cannot convey what a change her reading has made in me.